For crossing to Nusa Penida, Lembongan, and Gili Trawangan. Beautiful beaches with calm waves. 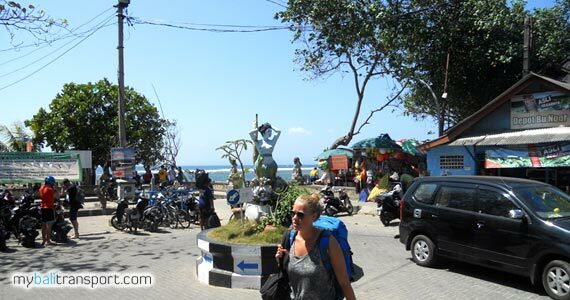 Famous of the Sunrise, Sanur beach is visited everyday by both foreign and domestic tourists. On Sundays or holidays, this beach is the main destination for the citizens of the Denpasar City to recreation, swimming and other beach activities. When its full moon, at night visitors who come will see the beauty of a full moon rising in the east. This beach has been known since long time ago, especially when there was a war of Puputan Badung on September 20, 1906. 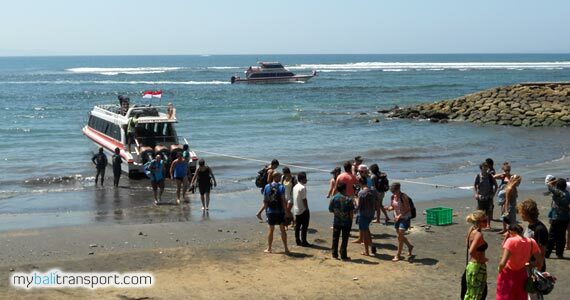 At that time the Dutch troops landed on the Sanur beach. 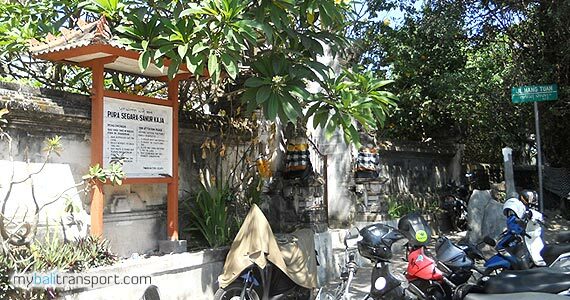 In the history of Bali, Sanur beach is also well known by the stone monument inscribed (Blanjong pillar) which is an inscription of King Kasari Warmadewa in Singhadwala Palace around the year 917 AD, where the inscriptions are in Blanjong, the southern part of Sanur . 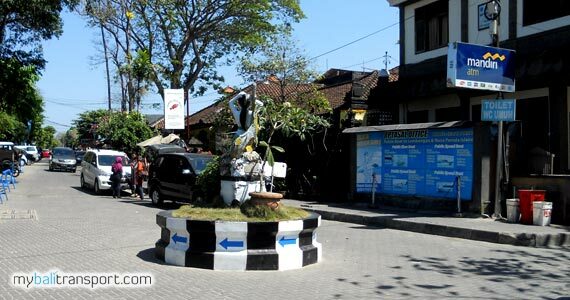 Sanur Beach for the first time introduced to the world of tourism by a famous Belgian painter named A.J. Le Mayeur with his wife Ni Polok (balinese) who stayed in Sanur beach since 1937, who did lot of painting exhibition and to introduce Sanur Beach in abroad. Visitors can see his painting at the Museum Le Mayeur, in Sanur Beach Bali. The sea breeze are comfortable. The atmosphere along the beach of Sanur is so fresh cause of filled big trees. The fishermen would seen everyday likes pushing the boat (known as `jukung`) out to sea. 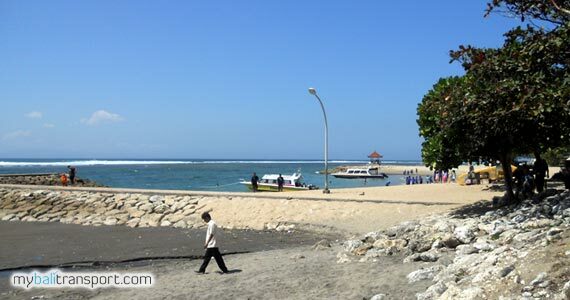 Sanur Beach is now looks more beautiful after it has been reclaimed of the abrasion in 2004. Visitor will be able to enjoy the beauty of the sea by relax in comfortably gazebo, stand in edge of the beach while sitting and looking at the Nusa Penida Island in the distance. The distance between the crib / gazebo with about 15 meters long, so its make people safe to swim because of the shallow water. And uniquely of Sanur Beach is the beach you will see the boundary towards the north (left) black sandy beaches, while in the south (right) is white sandy beaches. Along the beach of Sanur available pavement used for visitors who want to go for a walk, jogging, or cycling. And also filled with local souvenir shops and place to eat also drink. The famous accomodation for staying here is Bali Beach Hotel (now called Inna Bali Beach Hotel) is a 10-storey building that become the first in Bali. 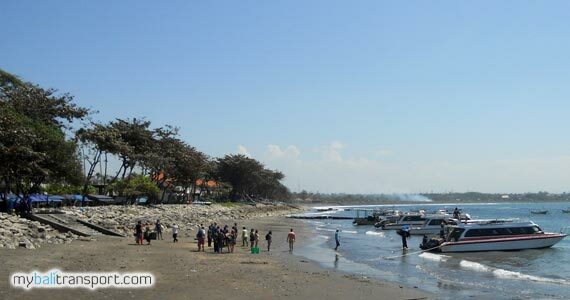 Currently Sanur Beach Bali, known as a port for tourists who want to sailing to the island of Nusa Penida, Lembongan Island, Gili Trawangan Lombok. Also when the tide, is good waves for surfing. Famous local restaurant here is Mak Beng with a menu of fresh fried fish and spicy soy sauce, plus a delicious fish soup to eat. 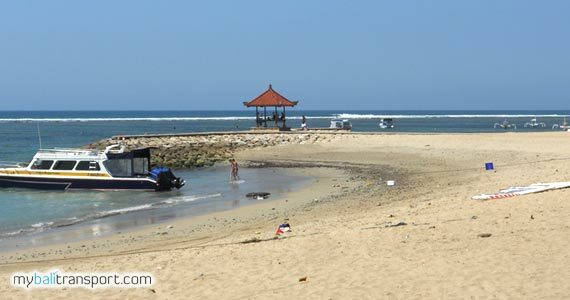 Sanur Beach is located at Jalan Hangtuah, Sanur Village, South Denpasar District, Denpasar, Bali. 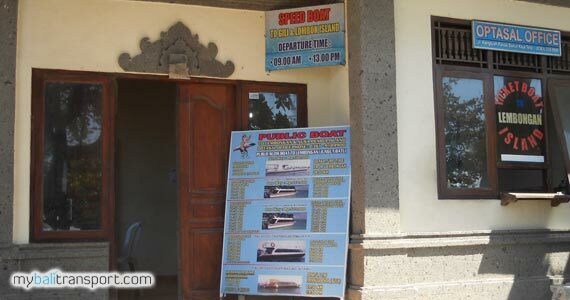 From the city of Denpasar is only about 3 km or From Ngurah Rai International Airport is approximately 18 km.